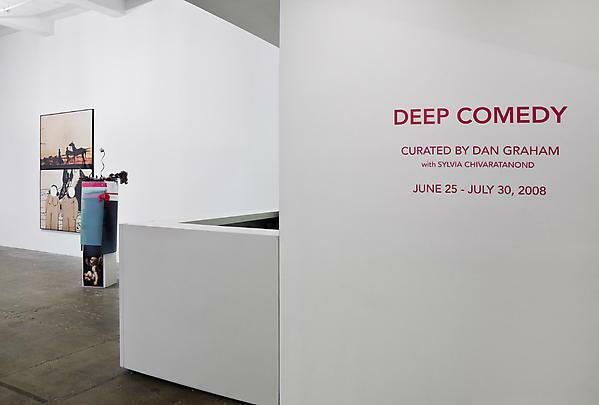 Marian Goodman Gallery is pleased to announce our summer exhibition, Deep Comedy, curated by Dan Graham with Sylvia Chivaratanond, which will be on view from Wednesday, June 25th through July 30th. 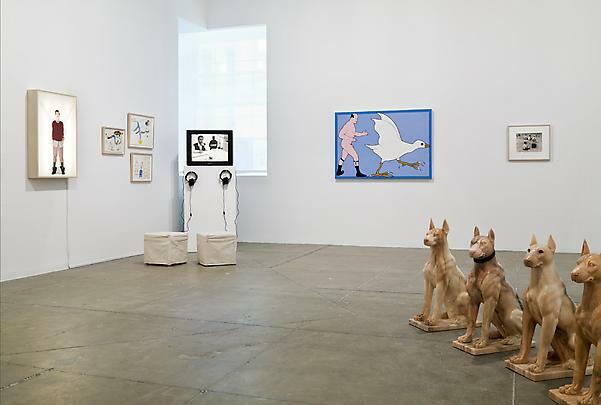 Deep Comedy brings together artists whose work transforms elements of the commonplace into playgrounds of amusement through a wide range of media including sculpture, video, installation, photography, and elements of performance. Through work by John Baldessari (United States), Vija Celmins (United States, b. Latvia) Fischli &Weiss (Switzerland), Isa Genzken (Germany), Jef Geys (Belgium), Rodney Graham (Canada), Christian Jankowski (Germany), Allen Ruppersberg (United States), Julia Scher (United States), Roman Signer (Switzerland), Michael Smith & Joshua White (United States), William Wegman (United States), and John Wesley (United States), traditional modes of viewing are questioned via unexpected forms of delivery and display. As a reflection of our society, the artists in Deep Comedy bear witness and are borne out of the saturated media-based culture in which we reside. 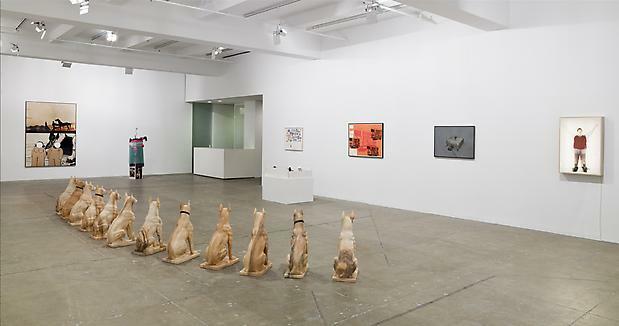 For these artists, whose conceptual practice is underpinned by humor and whose work embraces the oxymoronic nature of comedy, critiques of current socio-political and artistic institutions, though serious, take the form of playful and absurd gestures in which banality and irreverence occasion the deepest unhindered laughter. 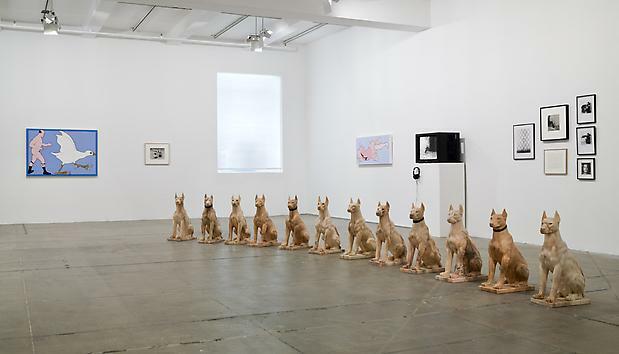 An earlier version of Deep Comedy was presented at Ballroom in Marfa, Texas in Spring/ Summer 2007. Dan Graham's work will be the subject of a major U.S. retrospective opening in February 2009 at MoCA Los Angeles and touring to the Whitney Museum of American Art (June 2009), and the Walker Art Center (Fall 2009). In conjunction with the Whitney venue in the summer of 2009, he will present a collaborative project of five pavilions in the New York Botanical Garden. In 2000-2001 Graham's work was featured in a major European retrospective survey for which an accompanying catalogue raisonne, Dan Graham: Works 1965-2000 was published by Richter Verlag. The exhibition opened at Museu de Arte Contemporanea de Serralves, Porto, and travelled to Paris, Otterloo, Helsinki, and Düsseldorf. His work has been included in countless international group exhibitions including the Venice Biennale 2005 and 2003; Documenta VII, IX, and X in Kassel, and Skulptur Projekte '87 and '97, Münster. Sylvia Chivaratanond is an independent curator and consultant. 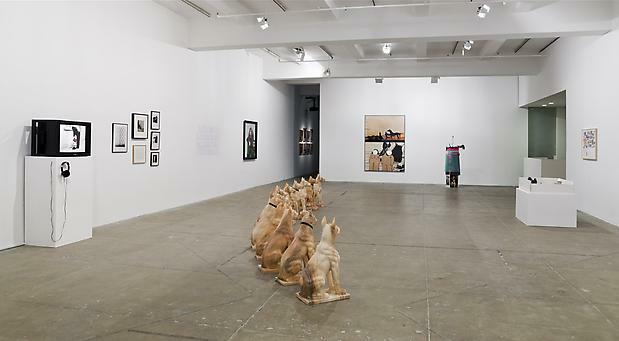 Her projects have included exhibitions at the Walker Art Center, Minneapolis; Museum of Contemporary Art, Chicago; and 2003 Venice Biennale, among others. On occasion she has been known to alternate between laughter and bellowing cries.